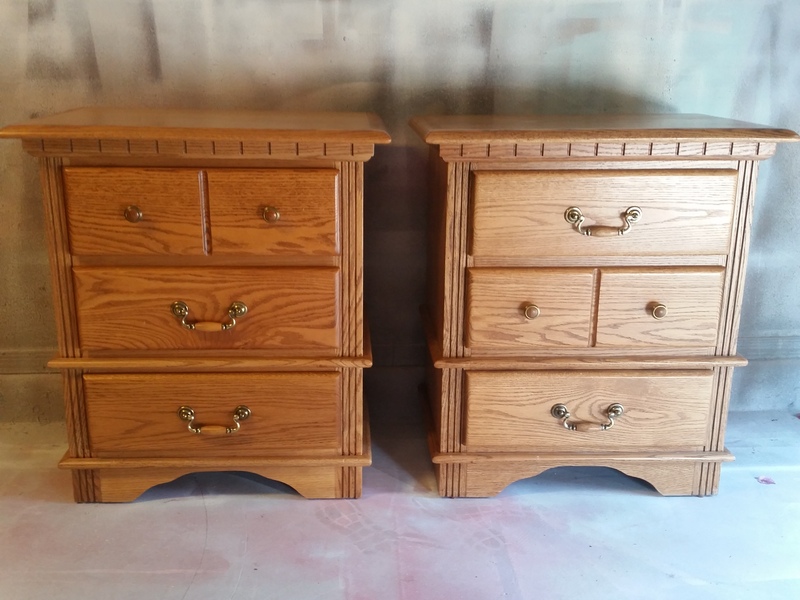 My client and her husband bought this bedroom set when they got married many years ago. 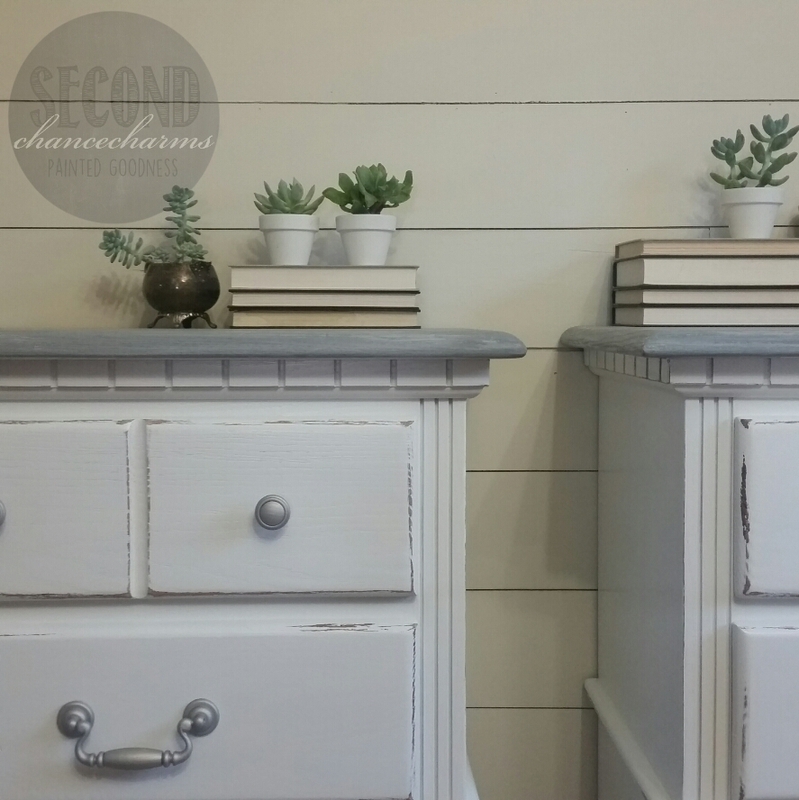 Ready for an updated look they chose to have their bedroom set refinished in Sherwin-Williams Pure White and lightly distressed. 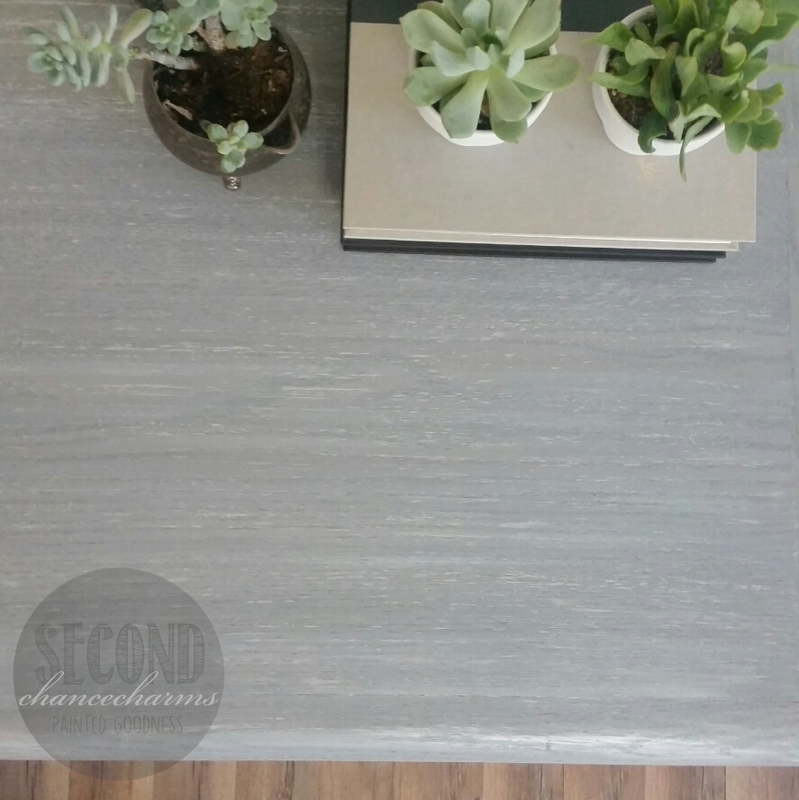 The tops of the pieces stained in a lighter gray. 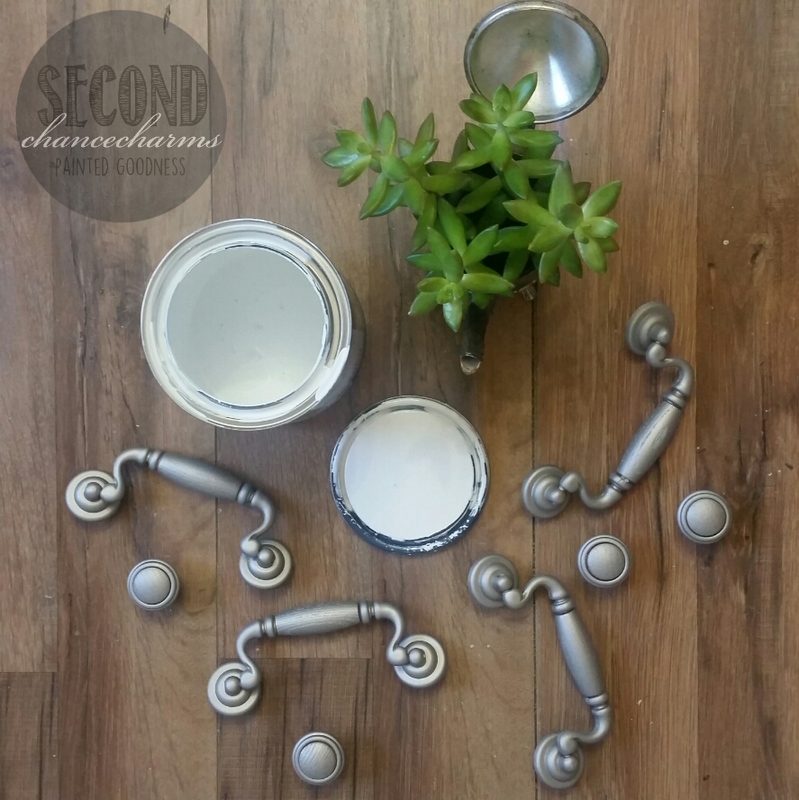 Followed by having the original hardware revamped in Nickel. 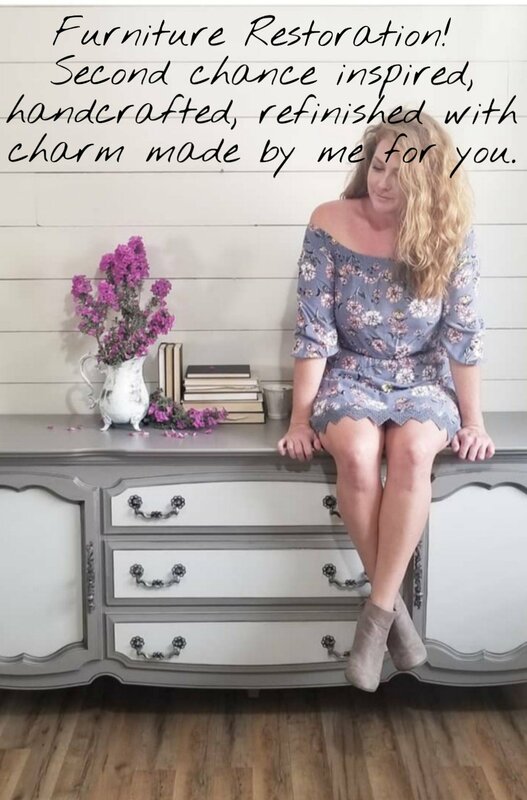 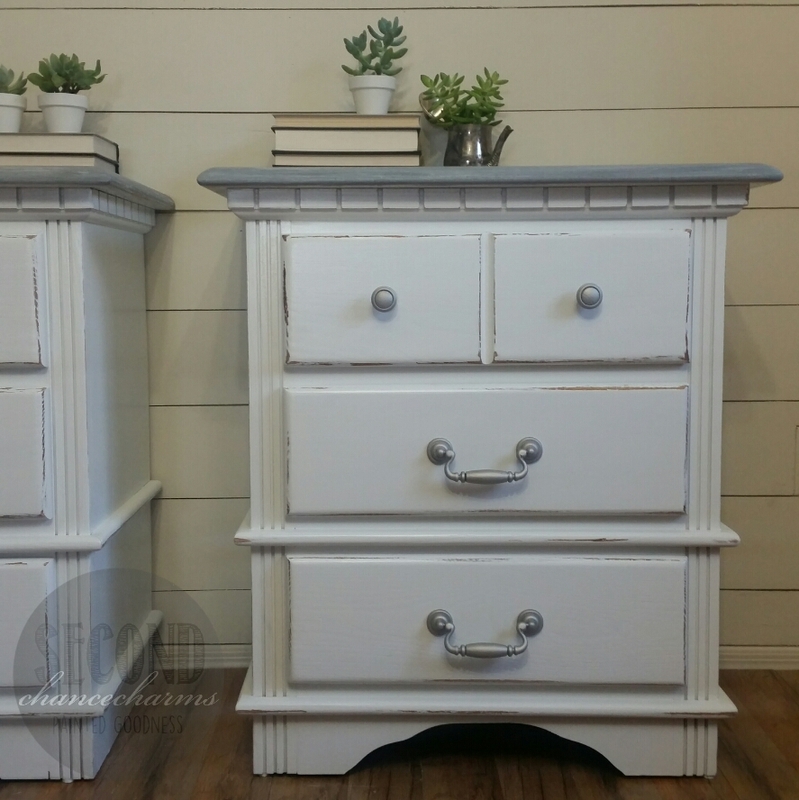 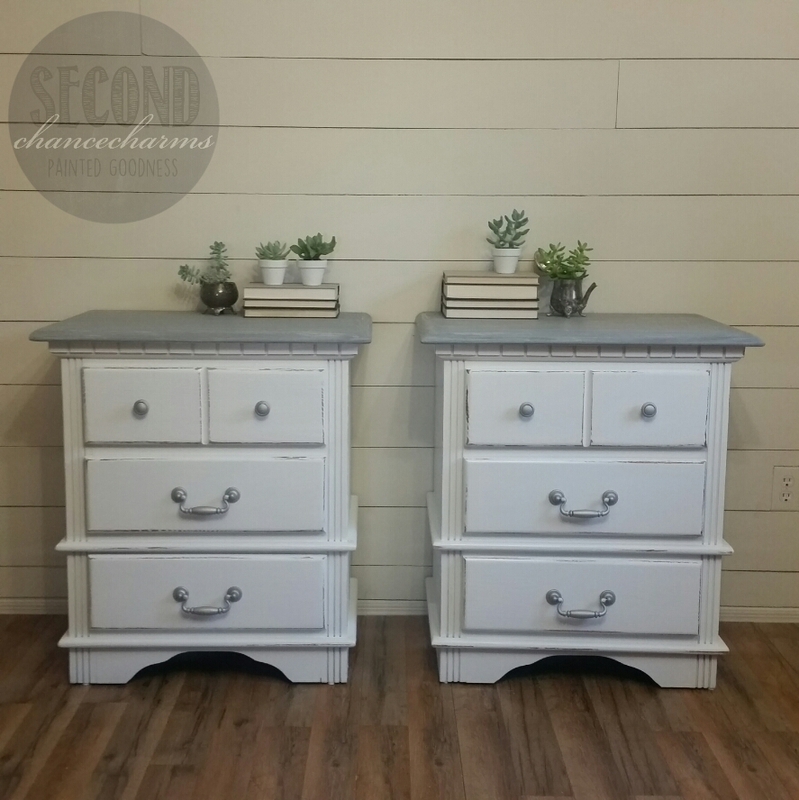 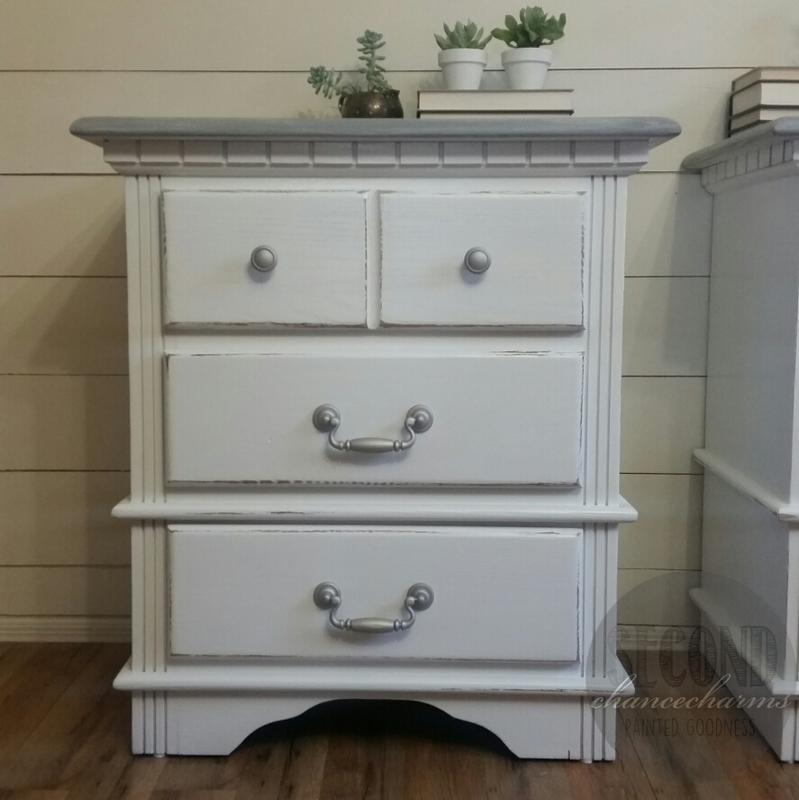 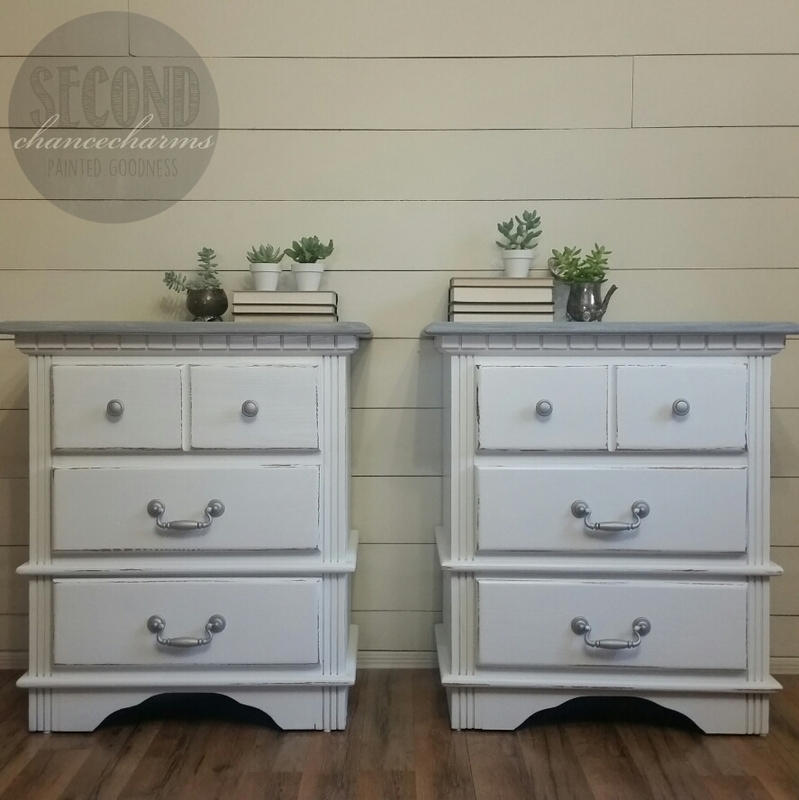 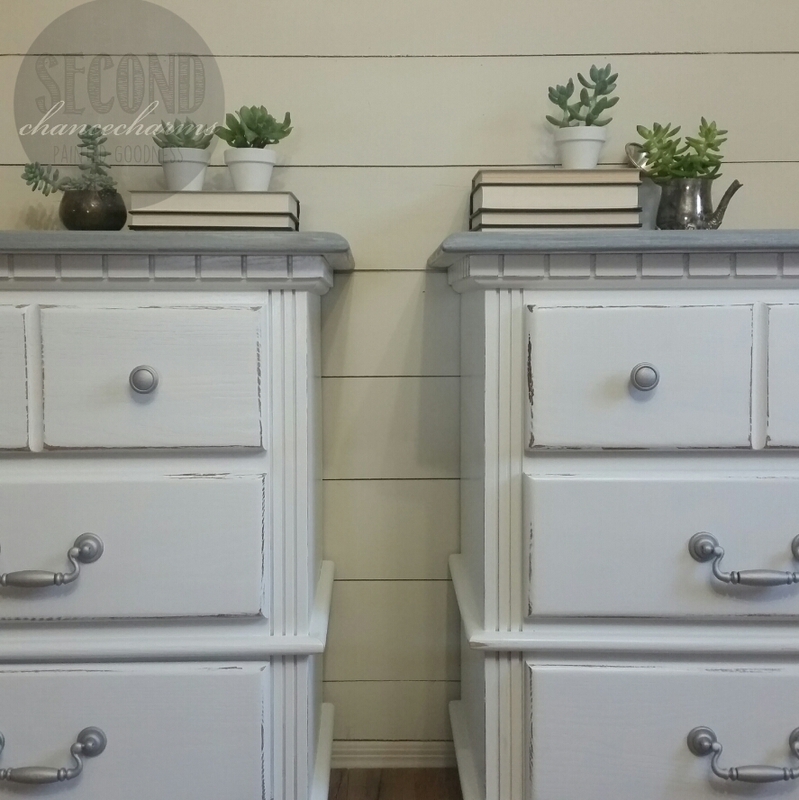 Stay tuned in as I will share the matching dresser and mirror!